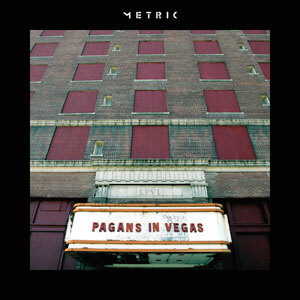 Following the same sonic vein of its last two albums, Metric continues its winning streak with Pagans in Vegas, another strong band effort. While certainly dance-oriented, Pagans crosses the line between an electronic, pop and art-rock concept record, which makes the sound all the more interesting. Thematically, the lyrics border between somber, maybe even dark, introspection and celebratory bombast. There’s a lot of dynamic rockers the permeate the record like the anthemic Fortunes, the yearning “The Shade,” and the playful “For Kicks”; “Too Bad, Too Sad” sounds like a contemporary update of a vintage Nancy Sinatra song, while “The Governess” has a bit of country-twang. The last two songs, “The Face parts I and II,” evokes something out of David Bowie from his Berlin trilogy face. The band’s musicianship again is spot on, highlighted by Emily Haines’s vocals—even co-hort James Shaw shows some soulful singing on “Other Side.” Sort of indicative of the records’ title, there’s something both dangerous and escapist in Metric’s music, but nonetheless exciting.